Can you even identify the grungy dirt between your tiles? And how fast do you want to get down on your hands and knees to spend hours scrubbing, with who-knows-what chemicals, and not get your tiled floor as clean as the day it was installed? At GO GREEN CARPET CLEANING, your problems are over. Our experienced staff can restore your tile and grout back to its original state. 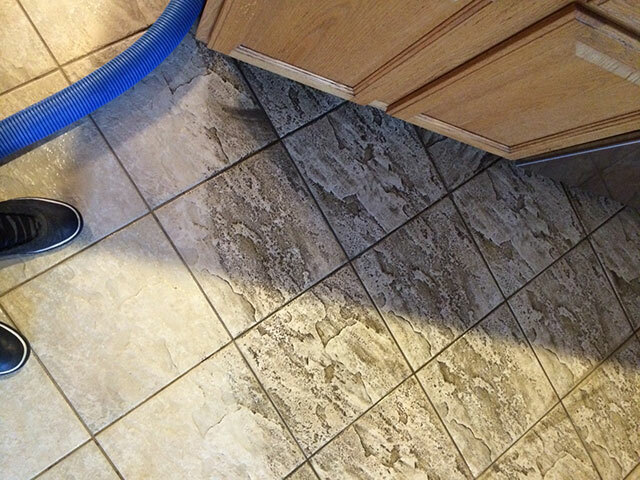 Using an environmentally safe tile and grout cleaner and our 3 step process, your floors can look the way you remember! First, we spray down an area of the flooring and let it sit for a few minutes. Then we scrub all grout lines, corners, edges and the tops of the tiles manually. Finally, we extract with our state of the art tile and grout wand. Our machine power-washes your floor with 1000 PSI and 210 degrees of steam. The end result, a sparkling clean, bacteria free, chemical free floor again!